Our client’s large sitting room was the perfect place for their new kitchen. Not only did it have two sets of French doors opening onto the garden, but it also had a window looking out onto beautiful parkland. 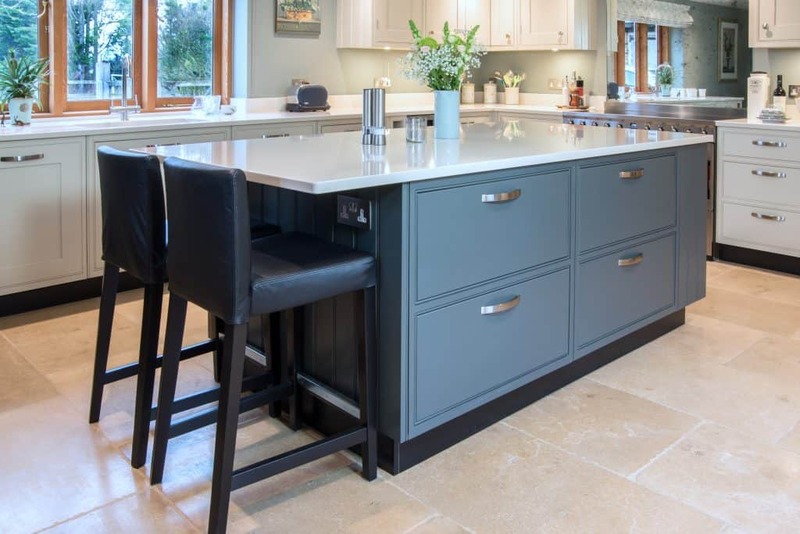 We worked closely with our client and their interior designer (Susie Greenwood Interiors) to transform the room into a stunning kitchen. We wanted the kitchen to be both practical and stylish. 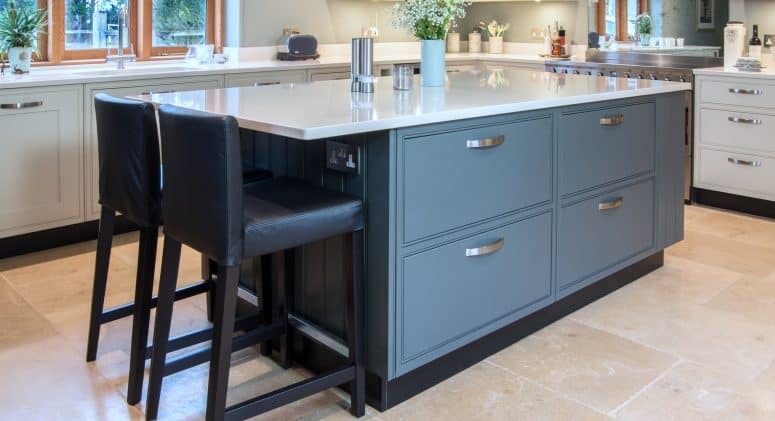 Our design therefore included a boiling water tap, two integrated dishwashers and lots of good storage. It also included a large island unit with book shelves and a seating area with power sockets. To make the most of the stunning view, we raised the window height and put the kitchen sink in front of it. We made all the kitchen cabinets and painted them in F&B colours. In the ceiling we installed new lights and speakers for a Sonos system, whilst on the floor, underfloor heating was laid and the floor covered with large, natural stone tiles. This was a fabulous project to work on and our client is extremely happy with the finished result.